Featured Image: Le Minh The. Greetings from The 88 Project! We are bringing you news, analysis, and actions regarding human rights and civil society in Vietnam during the week of March 18-24. Five political prisoners’ appeals of their sentences were denied this week; the group is sentenced to a combined 57 years in prison for their pro-democracy affiliations. And Facebooker Le Minh The was sentenced to two years in prison this week in the latest in a string of arrests and trials regarding online activities. Nearly two months after he went missing in Thailand, blogger and former political prisoner Truong Duy Nhat has been found; he is now in prison back in Vietnam. Authorities have also arrested Nguyen Thi Hue, a petitioner who has been accused of “abusing democratic freedoms.” Political prisoner Nguyen Ngoc Anh’s father passed away this week, while Anh remains in pre-trial detention — reminding us of the heavy personal toll that imprisonment takes on prisoners and their families. This week, we remember citizen journalist Do Cong Duong, student activist Phan Kim Khanh, and popular blogger Nguyen Huu Vinh on the anniversaries of their birthday, arrest, and trial, respectively. Dissident writer Pham Doan Trang continues to face harassment at the hands of secret police. Activist Bach Hong Quyen is in a difficult situation in Thailand as he awaits refugee placement overseas, and a man was questioned and fined this week after he posted about a school’s use of tapeworm-infected meat. In news and analysis, read about the struggles of ethnic Vietnamese living in water-based communities in Cambodia and analysis on a recent case of sexual assault in Vietnam, which highlights systemic issues with the country’s legal framework. Please take action for Huynh Truong Ca, a political prisoner who is suffering from multiple health issues in prison. On March 18, five activists faced their appeal trial at the Higher People’s Court in Ho Chi Minh City. They are Luu Van Vinh (sentenced to 15 years) and his co-defendants Nguyen Quoc Hoan (13 years), Nguyen Van Duc Do (11 years), Tu Cong Nghia (10 years), and Phan Van Trung (also known as Thich Nhat Hue, 8 years). All five prisoners’ sentences were upheld on appeal. The five maintained their innocence and protested the Court’s decision. Only Vinh’s wife was allowed inside the courtroom. Vinh took part in environmental and sovereignty protests and founded a pro-democracy group, the Coalition for Self-Determination for Vietnamese People. The other co-defendants were also allegedly affiliated with the group. On March 20, Le Minh The was sentenced to two years in prison under Article 331 of the 2015 Penal Code for “abusing democratic freedoms” by the People’s Court of Binh Thuy Ward, Can Tho Province. The trial lasted only three hours, and all of his family, except for his wife, was barred from entering the courtroom. He is a member of the constitutional rights group Hien Phap and has been vocal on Facebook about public protest, the environment, and sovereignty. After last being seen almost two months ago, blogger and former political prisoner Truong Duy Nhat has been located — in prison in Vietnam. The Radio Free Asia contributor was originally feared abducted by Vietnamese security agents and deported to Vietnam because of sensitive information he was thought to have regarding Vietnam’s Prime Minister and Communist Party General Secretary. His family confirmed on March 20 that he was indeed arrested and brought back to Vietnam; he was put in jail on January 28, after attempting to seek asylum in Thailand just days prior, and is currently imprisoned at T16 temporary detention facility in Hanoi. His wife attempted to meet with him there but was refused a visit. Some observers allege Vietnam violated its own law in arresting Nhat — they did not inform the family of the arrest nor issue an arrest warrant. 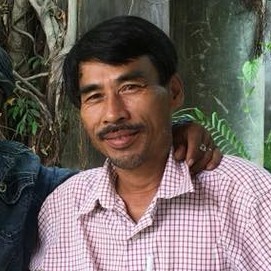 Several human rights groups have called for clarity in the case, as well as for Nhat’s current status and his immediate release, and information on any possible role that Thai authorities played in the alleged abduction.Nguyen Thi Hue, living in La Grai District, Gia Lai Province, was arrested on February 22, 2019. She was accused of “abusing the democratic freedom to infringe on the interests of the state,” under Article 331 of the 2015 Penal Code. According to the first investigation, she was accused of creating many Facebook accounts to post, share, and comment on articles with content distorting the guidance and the policies of state and the party, as well as slandering the regime, the authorities, and national leadership. The Vietnamese has called on Vietnam to cease its repression of dissident writer and The VietnameseEditor Pham Doan Trang. Police this week found Trang at her new residence and began to place her under surveillance. Police have been trying to locate Trang for weeks, watching her mother’s home and even posing as readers of her new book. Trang now fears injury at the hands of secret police. Bach Hong Quyen, a refugee who has lived in Thailand for two years and who helped disappeared Vietnamese blogger and former political prisoner Truong Duy Nhat apply for refugee status in Thailand, is facing an unknown future. Quyen now fears he could be deported back to Vietnam while awaiting refugee placement in Canada. He believes authorities are looking for him and thus is not currently living with his family. He has been an active critic of environmental issues in Vietnam, including the Formosa environmental disaster. His fears have increased given the recent news that Nhat was forcibly returned back to Vietnam in late January and is now in prison.Since Vietnam’s Law on Cybersecurity was adopted and went into effect on January 1, 2019, many citizens have been summoned and sentenced because of their online activities. On March 19, 2018, the police of Thuan Thanh District, Bac Ninh province summoned Nguyen Ba Minh to question him about his postings denouncing Ngu Thai kindergarten school, which allegedly used pork infected with tapeworm, leading to many children falling ill. Police requested he remove the information and post another status to correct it and apologize for uploading “false” information. He was fined and was allegedly held for more questioning.